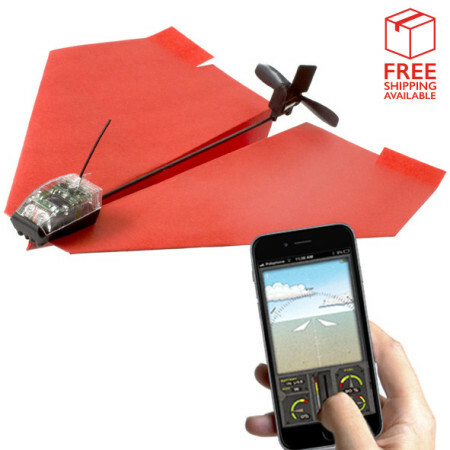 Take to the skies with this ingenious app-controlled paper airplane, complete with rechargeable motor and rudder. Aerobatic greatness and unlimited fun awaits! Do you have the right stuff, pilot? Took me back to child hood dream of flying together with my iPhone. Designed my own airplane to fly. Tons of fun with my nephew. I purchased the Power Up 3.0 as a model for engineering design. 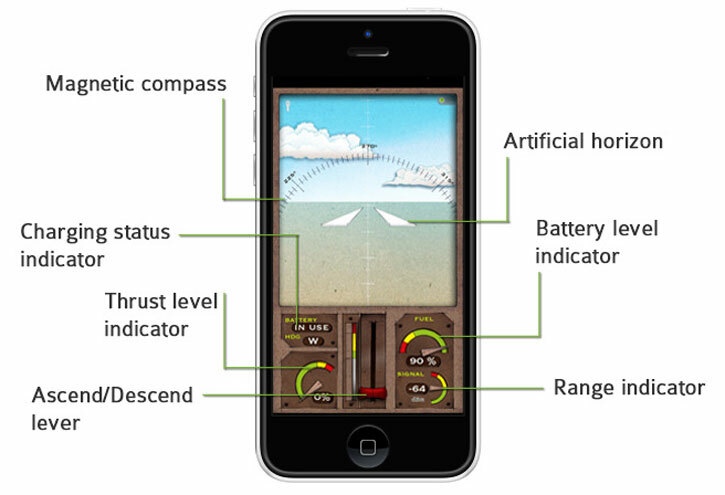 The powerful motor and app make it ideal for students to work with while developing an understanding of how paper airplane design will affect flight. 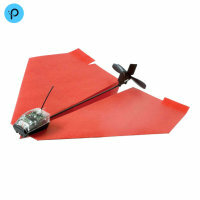 There are two models for paper airplanes included, but other models can be created and tried. It is difficult to get the included designs to fly. Flaps are of critical importance! Once mastered, this paper airplane engine is a lot of fun! I've had this for a few weeks and have flown it several times. The kit comes with paper and patterns for a couple of different airplane styles, but they're not all equal. The best (easiest to fly) that I've found so far was not part of the kit. There are a number of websites that have different styles of airplanes. The Powerup 3.0 works pretty well most of the time. 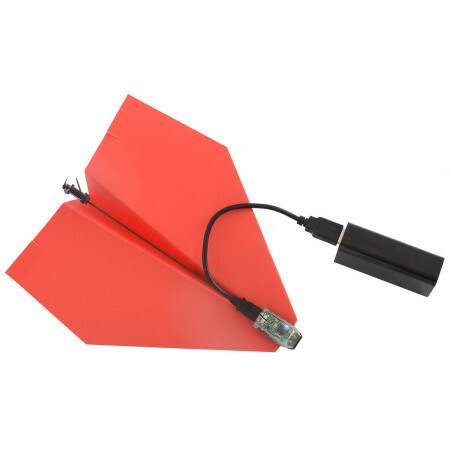 It's not great if there's much wind (no surprise, it's a paper airplane), and range is limited (you're working on bluetooth, so about 50-60 feet. Also, I've had some connection issues at times where it doesn't want to connect. However, if I turn off the motor and restart my phone, then try again it always connects. Considering the price tag, this little toy provides a lot of fun for a very reasonable price. Look, up there. Is it a bird? Is it a plane? Well, yes - it is a plane. 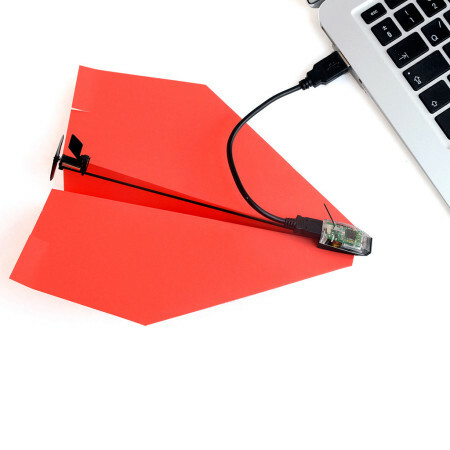 A paper airplane in fact, and it's yours to command via your smartphone or tablet. 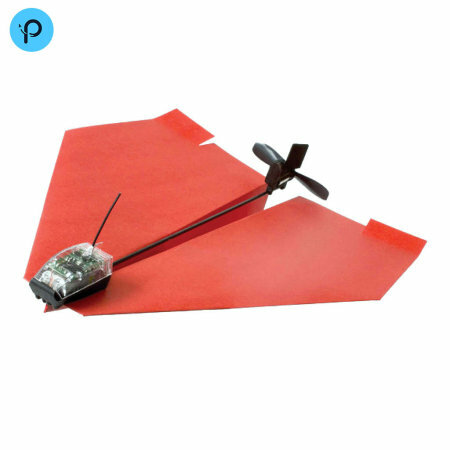 This ingenious aerobatic marvel is the ultimate evolution of what started every aeronautical engineering genius on their path - the paper airplane! Did you ever make them when you were little? Maybe you still do? Tweaking away to get an extra few feet out of that monster glide. Well this one will glide, climb, turn and dive at your command. 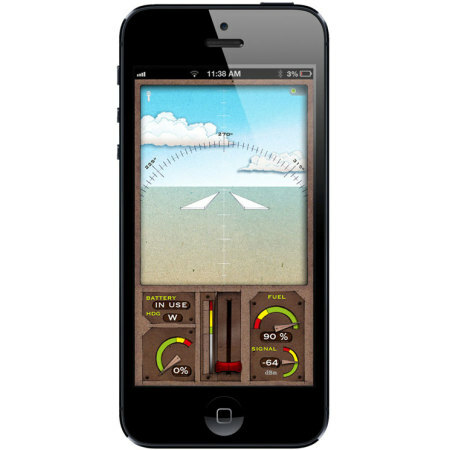 Just download the app, power up the motor, assemble your airplane, and get to it, pilot! The world is your oyster and the sky your playground. The only limit is your imagination. There are several designs included in the box and plenty more available online. But you can also experiment and tweak to your hearts content. Find an open space and have at it. Why not get a friend or family member involved too while you're at it for aerobatic displays and mock dogfights? The more the merrier. There is suitable paper in the box but most stiff lightweight card will suffice. And if you happen to crash, no problem. All the materials involved are designed to take the punishment of frequent trips to terra firma. Dust it off, and reach for the sky again and again. When your battery is running low, bring the old kite down and plug her in. It couldn't be simpler. The included charging cable can be plugged into a PC, laptop or mains charger. Or if you're out and about, you could use a power bank or portable charger. Please search for our power banks and portable chargers if this is of interest to you. While this is a fantastic and unique toy for the big kids, its really not suitable for those under 14. Adult supervision is recommended at all times.